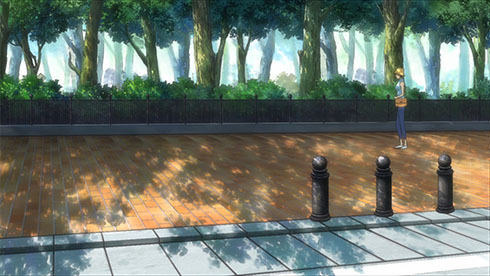 Once again, Tari Tari takes the lead in terms of quality and sheer number of physical environments depicted. 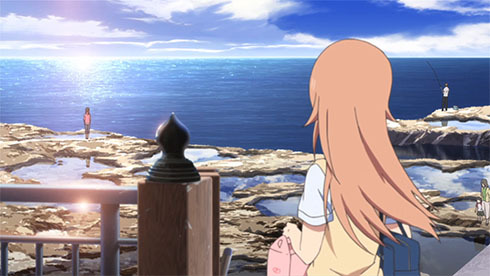 It helps to have such great scenes as those found along the Sagami Bay as models. 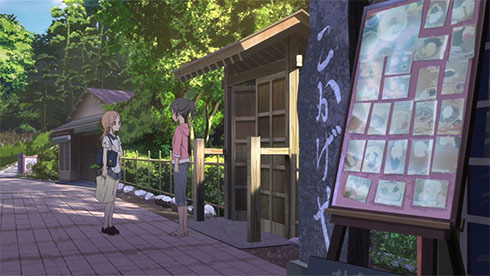 Wakana’s father keeps watch over the tea house. 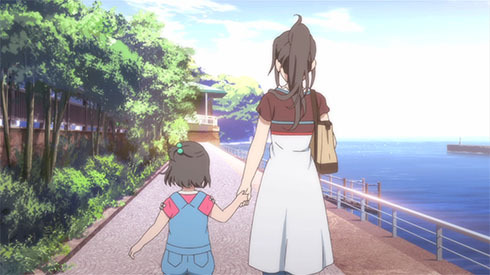 Konatsu brings a gift to Wakana, at the rocky overlook on the western tip of Enoshima, behind the tea house and souvenir shops. 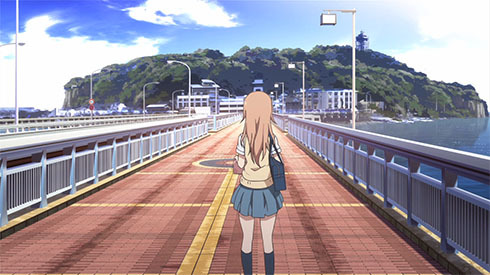 Wakana recalls a childhood memory of walking with her mother at docks along the northern tip of Enoshima, just to the west of the bridge connecting the island to Fujisawa proper. 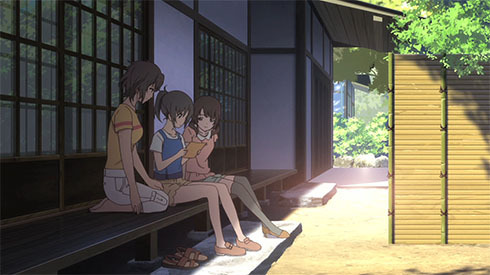 Wakana returns to Jōchi-ji to see Sawa and Sawa’s mother Shiho. 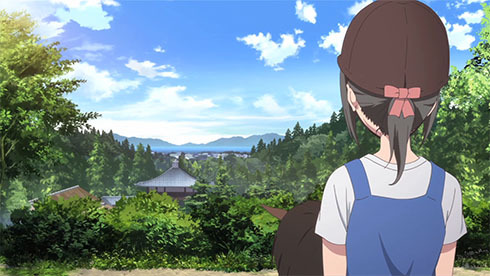 From atop Sawa’s family horse, Wakana can see beyond the temple, to the valley below and Enoshima across the bay. 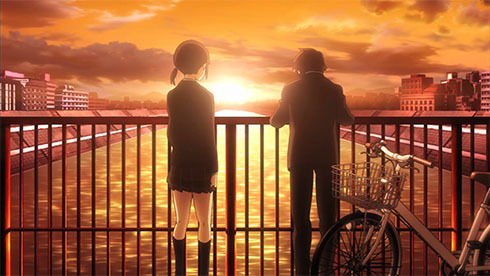 The city at the water’s edge is Kamakura. 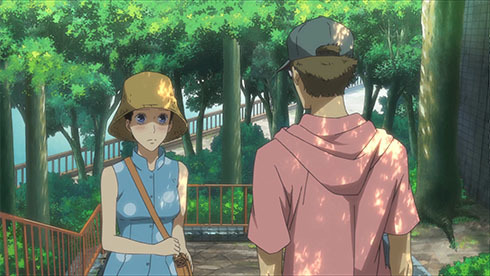 We learn more of the story behind Wakana’s relationship with her mother Mahiru, during her father Keisuke’s flashback to a conversation in a ginko tree-filled park. 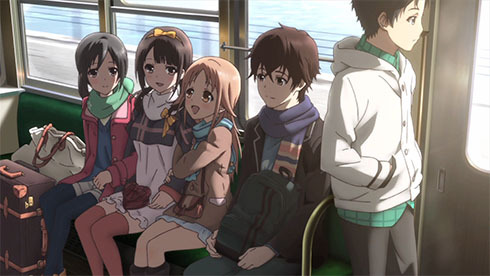 Railfans are rewarded with a freeze frame of the cast riding on the Enoshima Electric Railway (Enoden) in the new version of the ending credits. 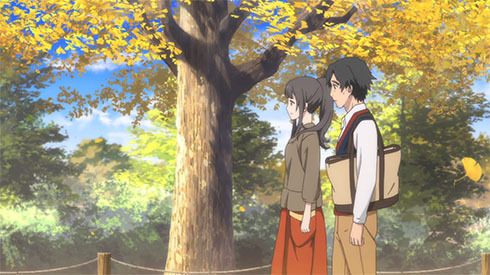 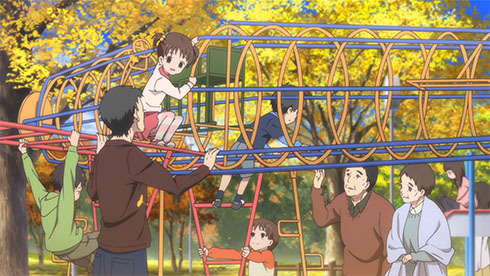 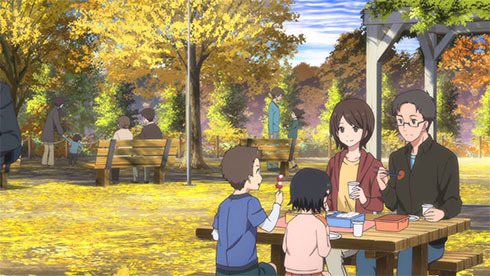 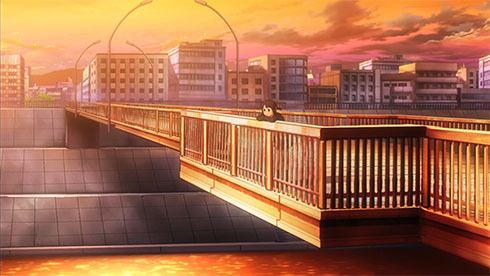 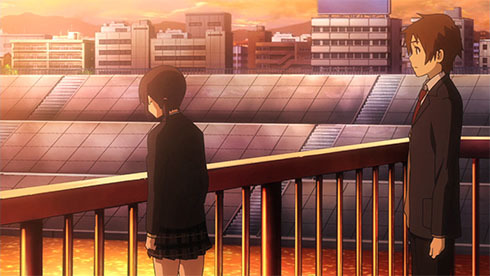 Just before taking a decidedly dark plot turn, Kokoro Connect gives us an extended look at the pedestrian bridge spanning the river that bisects the city during this scene with Iori and Taichi. 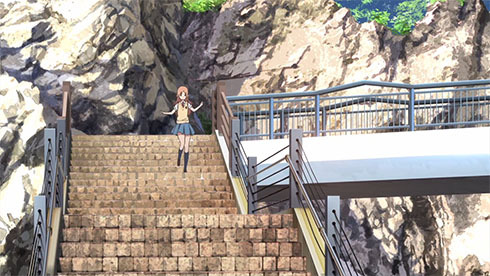 Note the terraced concrete embankment. 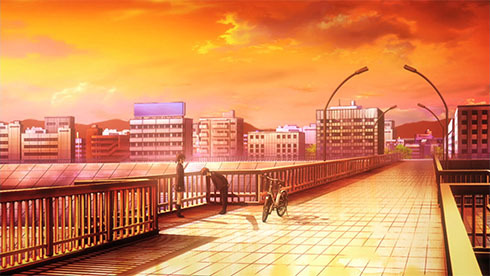 I’ve observed a handful of debates over aesthetics in Japanese cities, many of which take sides on whether extending the built environment (including lots of concrete) to every observable surface makes these places ugly, alien and disconnected from nature. 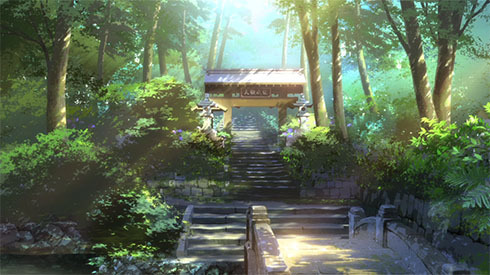 Maybe I’m too romantic, but I tend to take the view that these places are no less habitats than a natural forest. 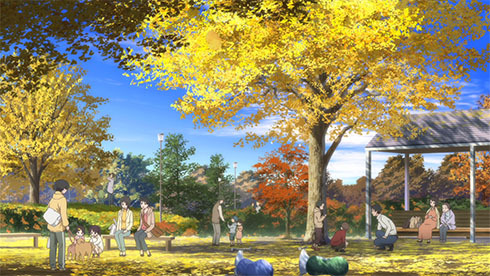 These are habitats for people. 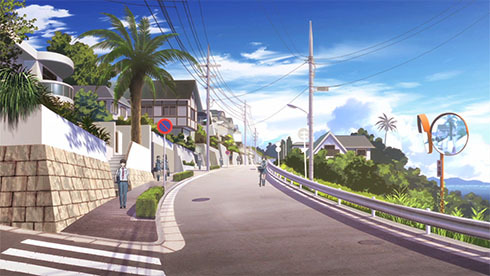 The infrastructure allows us to build these places with greater density, which both increases activity and improves mobility within them, and reduces development footprint, leaving more natural land preserved outside of the urban environment. 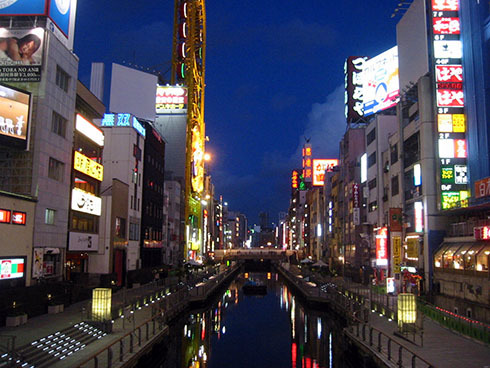 This canal in Osaka’s Nanba Ward capitalizes on the public space opportunity created by the embankment. 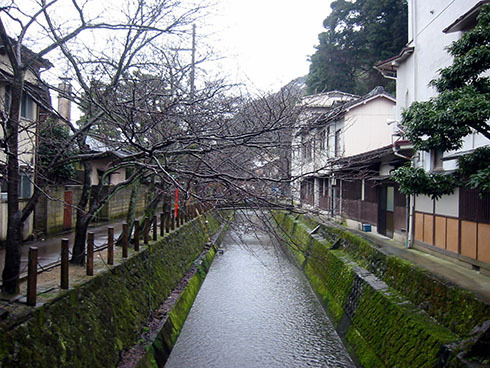 This moss covered stone and mortar embankment in Kinosaki can be downright charming, especially in Spring when the cherry trees blossom. 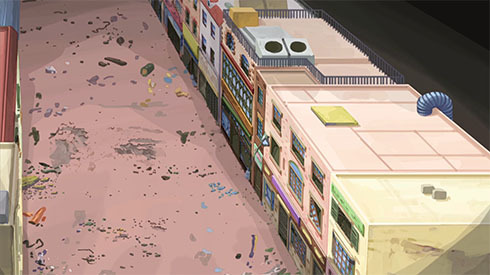 Mediator finally escapes from the bizarre underground city in a bunker, but not before encountering a row of abandoned storefronts, ruins of an entire city in a valley, and the humanoid robot evolutions of the Pioneer (Pion) and Voyager (Oyage) space probes. 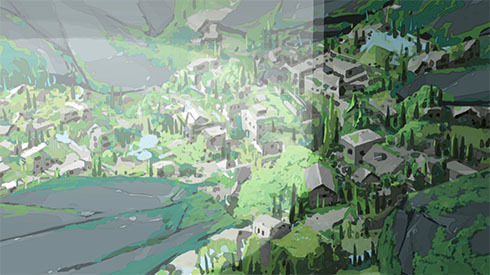 The satellite used by the villagers to engage in research for the Human Monument and supply the village with power had drawn the probes back to Earth. 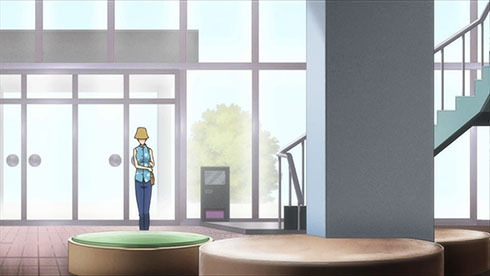 The probes, having acquired consciousness, at first have difficulty understanding that they are still machines, despite their appearance of humanity. 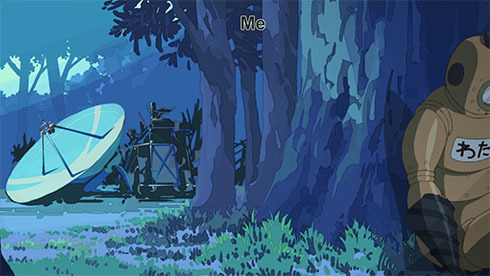 They don’t wish to be sent back into the loneliness of space. 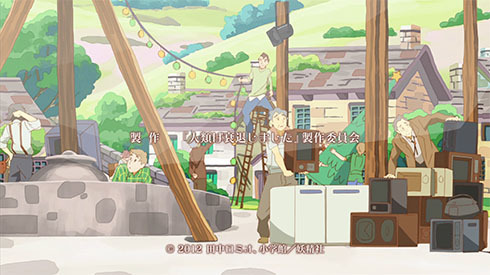 Mediator, fed up with the villagers’ glorification of humanity’s legacy of material culture, sabotages the satellite and power generator, preventing the probes from being returned to space and putting an abrupt, if temporary, halt to the UN led paean to electricity and home appliances. 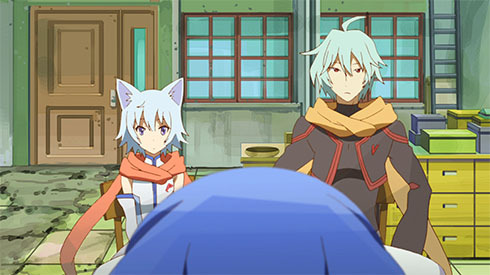 Ryūsuke is still trapped in the dream world while his body is controlled by the ghost of Rokka’s husband, Atsushi Shimao. 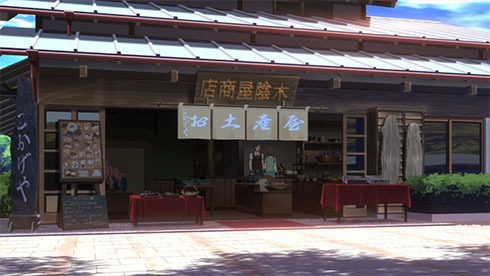 In the real world, there are several flashbacks to places from previous episodes, like the ramenya, as well as a few new ones. 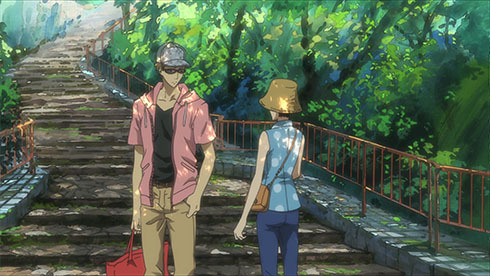 Rokka passes by a wooded park, along a tree covered sidewalk, en route to the neighborhood library. 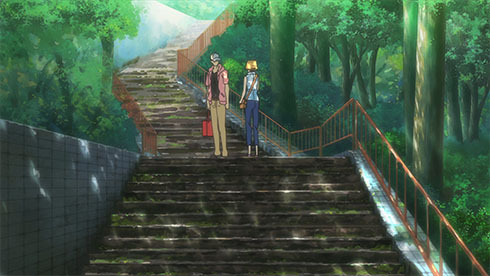 After running into “Ryūsuke” (still Atsushi), the two briefly walk through the park.